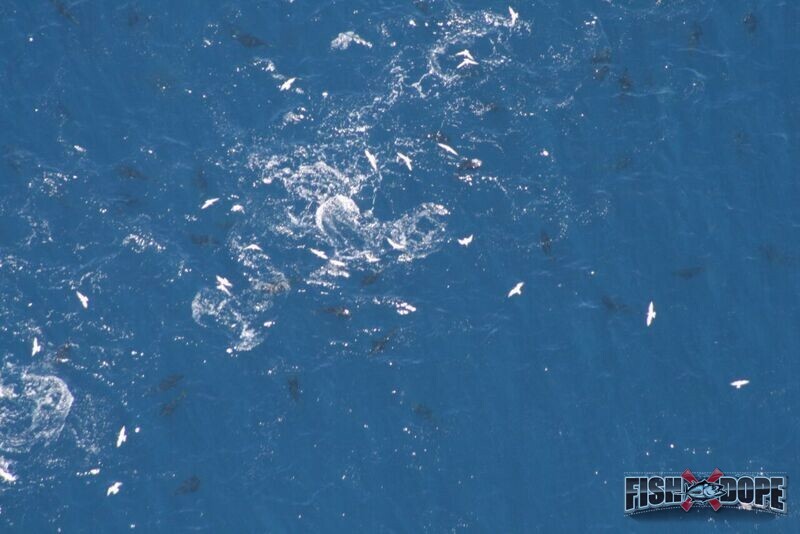 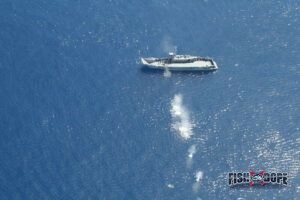 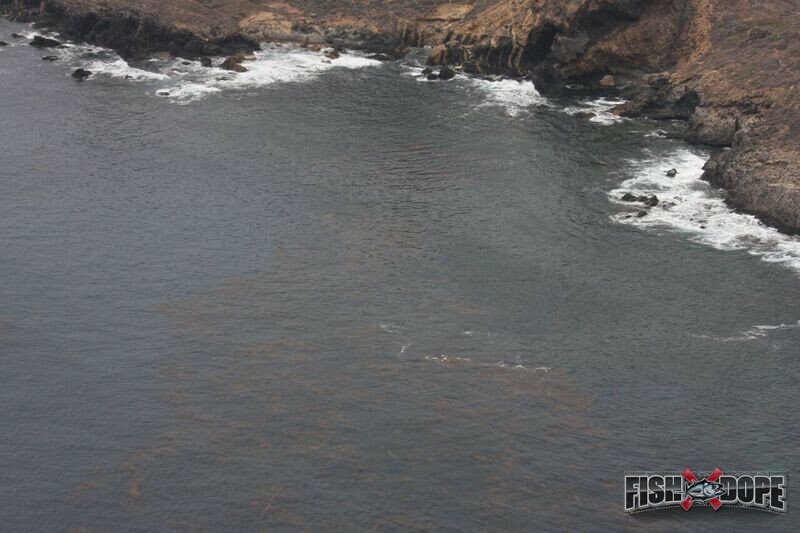 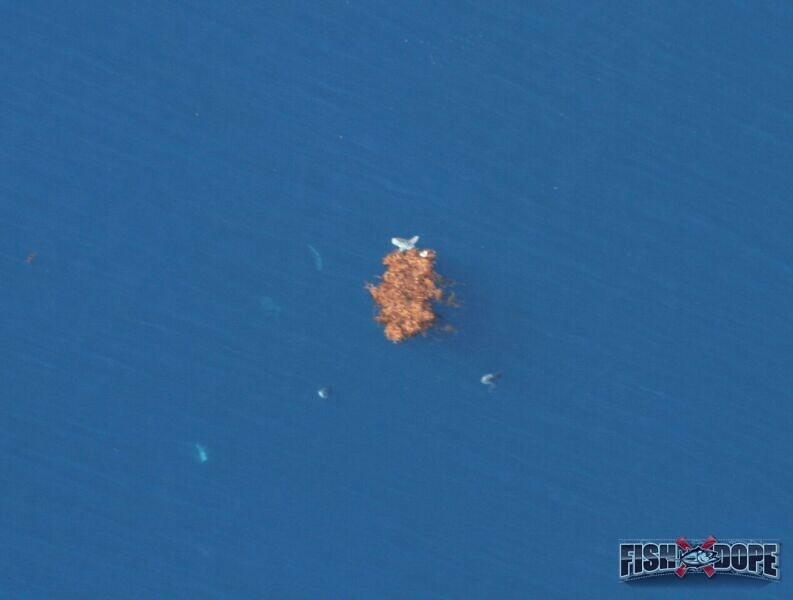 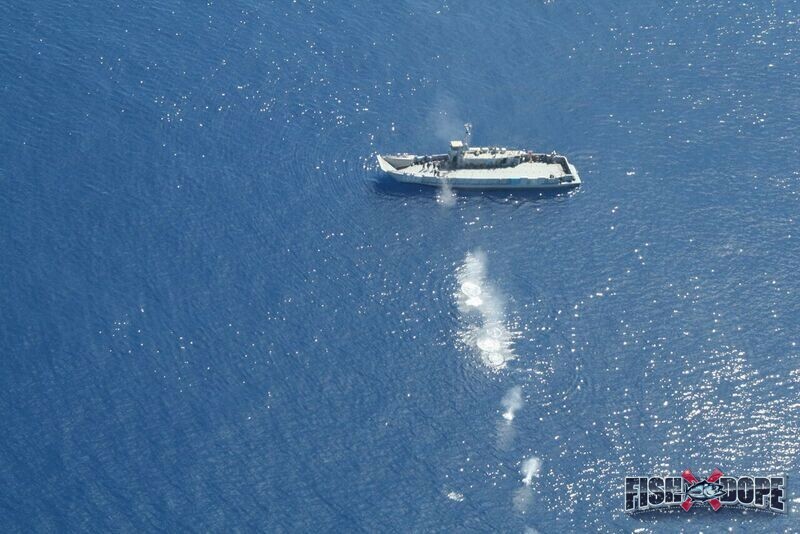 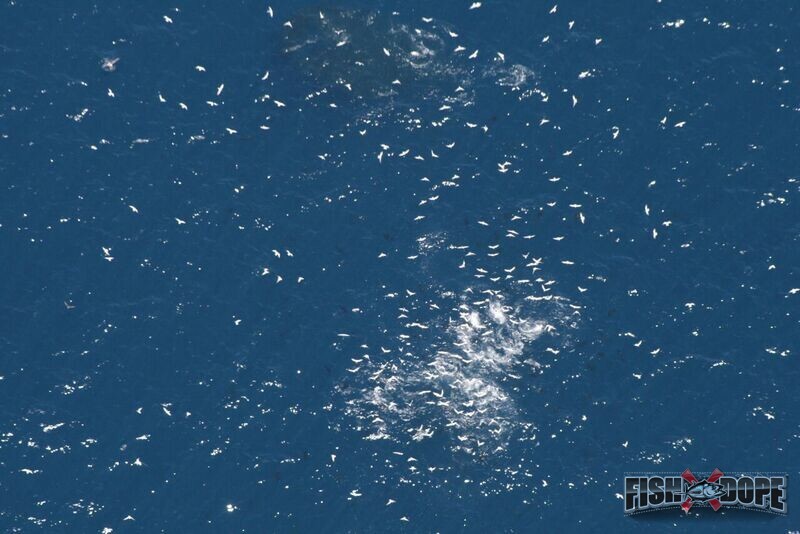 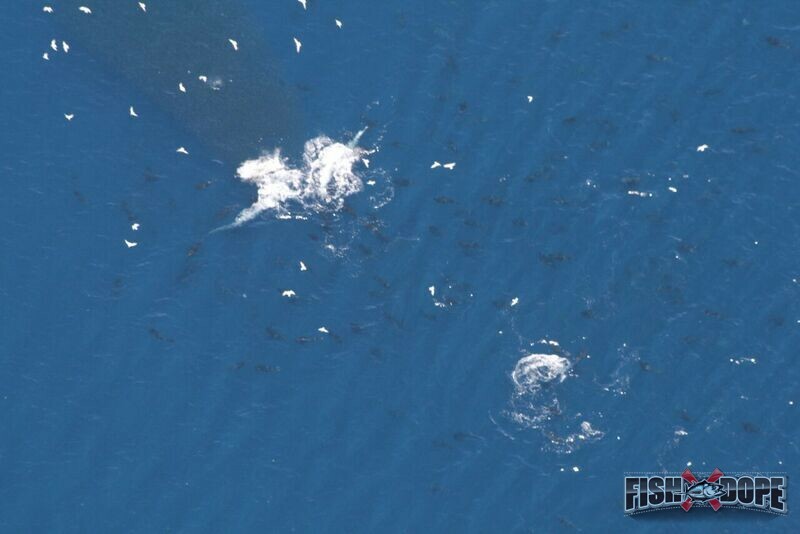 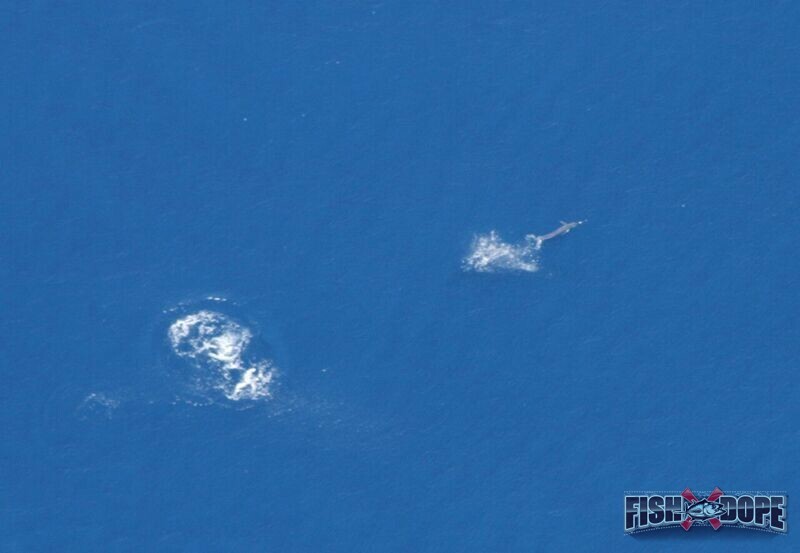 Fishdope contracts with commercial fish spotting planes to find our members new bodies of fish away from the fleets. 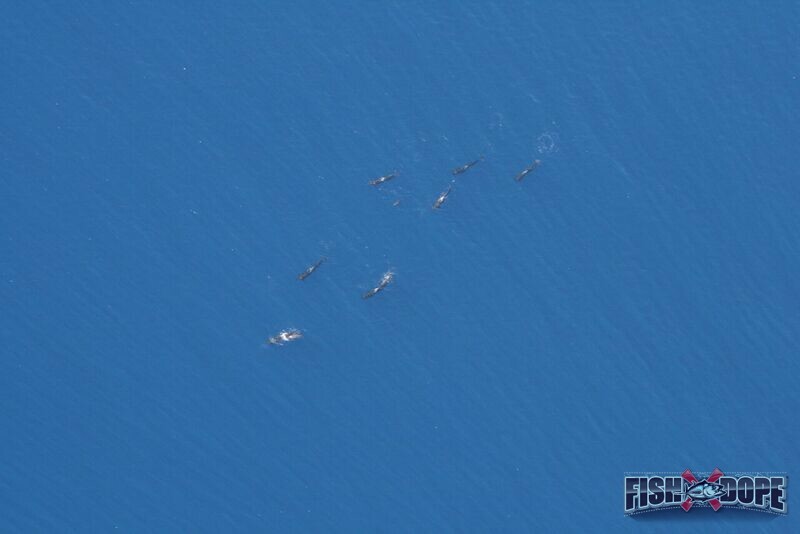 With the eye in the sky looking offshore once a week from July to October, our members have an advantage over the regular weekend warriors. 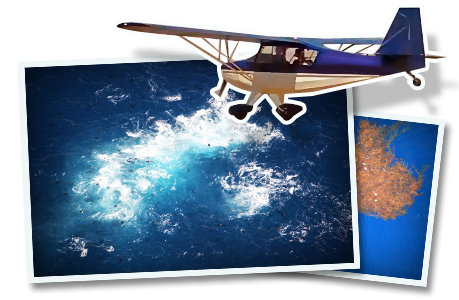 Weather and conditions permitting, our fish spotting planes try to fly 3- to 4-hour routes over the most productive-looking waters from our SST and Chlorophyll charts on Thursday or Friday and reports back to Fishdope with photos and GPS numbers putting our members on fish away from the crowds. 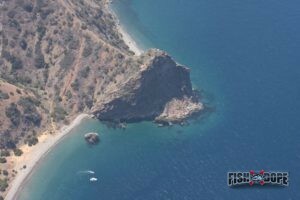 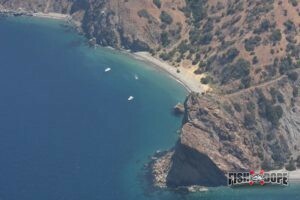 The advantages of searching for fish from 1000’ above the surface are tremendous. 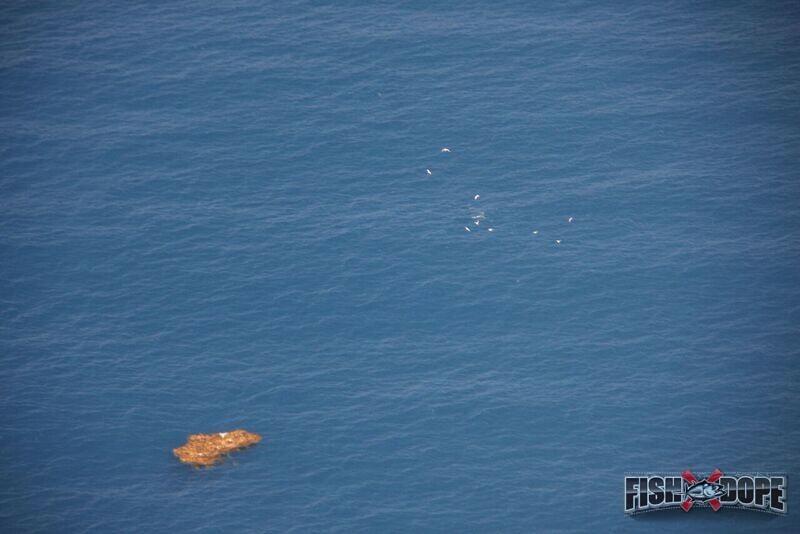 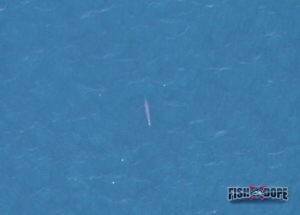 The fish spotting planes can see for 20+ miles on a clear day and can easily pick out the wildlife that comes with foraging fish, such as birds, bait and floating kelps. 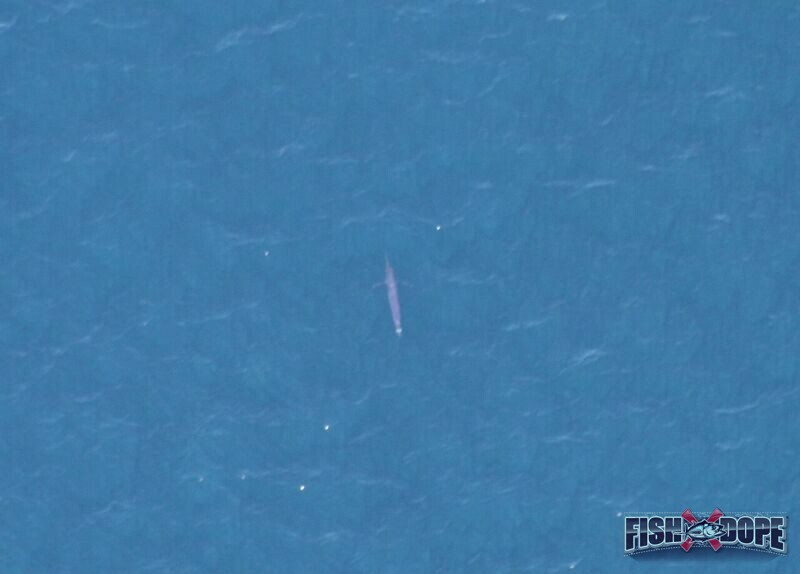 On a perfect day for fish spotting the sun is shining bright from directly overhead, allowing for full penetration of light into the water column. 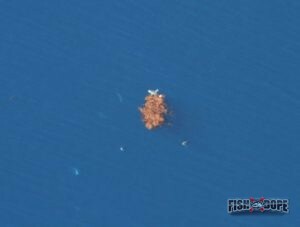 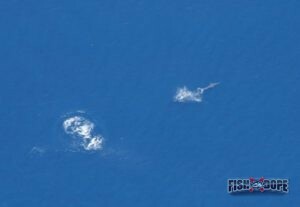 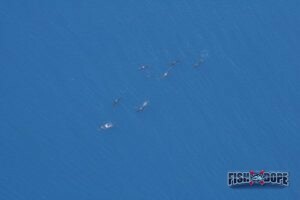 This gives the pilot an opportunity to even spot the deeper schools of fish not visible at the surface, just like birds hovering over spots of fish 60 feet down. Most flights cover 120+ miles of water, focusing on the most productive offshore areas from Catalina Island to the Mexican Border and West to San Clemente Island (Navy permitting). 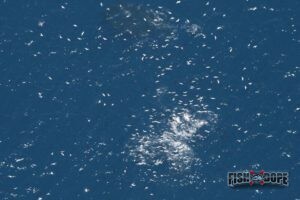 The airplanes travel around 100 knots and will slow down to 80 knots to circle areas that look “fishy.” The pilots try to stay away from fleets of boats and find new fish, as Fishdope usually already has boats on the water reporting in from the areas where the fleets are. 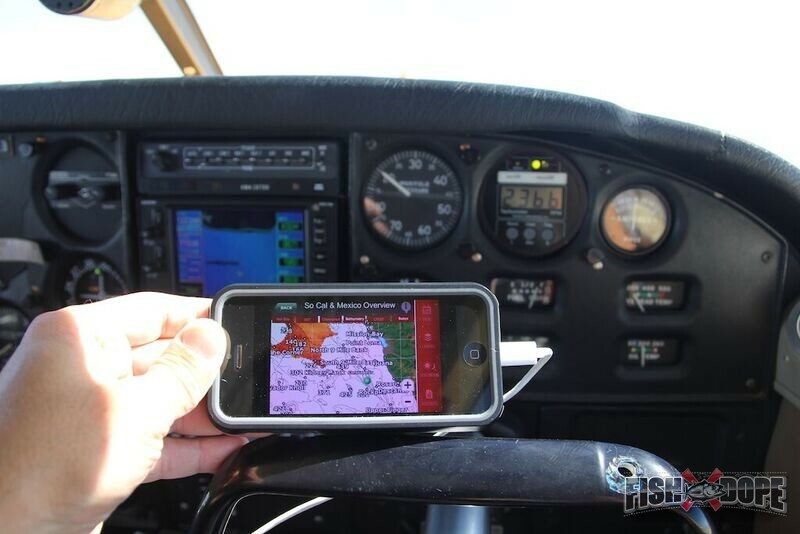 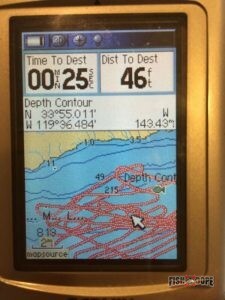 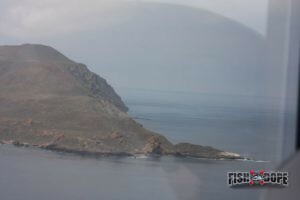 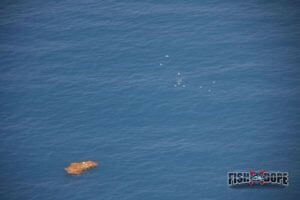 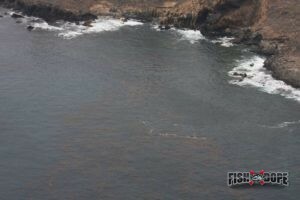 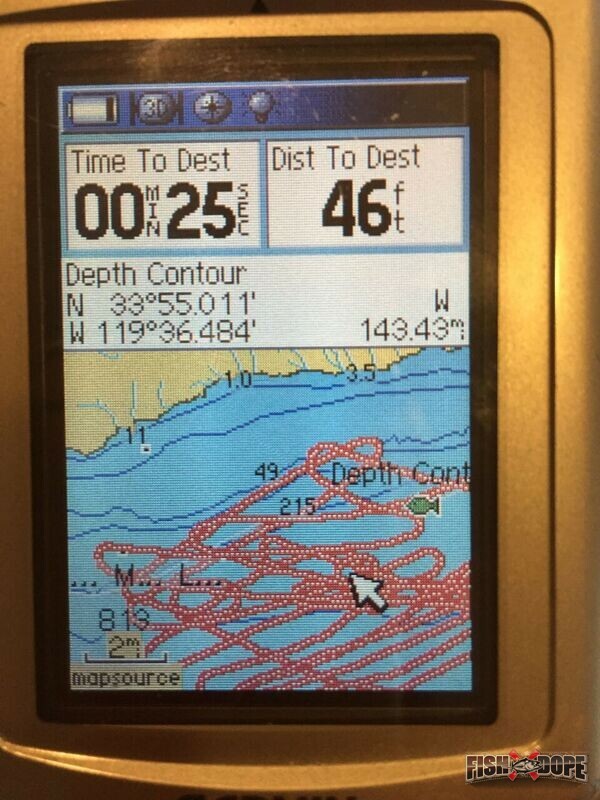 The pilot then sends us an exclusive report with photos and GPS numbers to the best fishing zones.